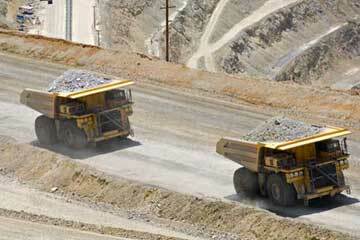 Off-road haul trucks comprise by far the largest product group in the Mobile Mining Equipment Database. The population of mining trucks currently in operation at surface mines around the world numbers 46,500+ for trucks with payload ratings of 90 metric tons and above. And there are more than 61,000 trucks in the database factoring in those that are currently inactive. The population includes both electrical drive and mechanical drive; rear-dump, bottom-dump and miscellaneous configurations. Caterpillar (Bucyrus/Unit Rig), Komatsu, BelAZ, Hitachi, Liebherr, BEML and XEMC trucks comprise the vast majority of the installed base of mining trucks with several other OEM’s represented. Their models ranging from the 90 mt class up to the 360-mt+ ultra-class trucks are listed below. The following mining truck models are included in the Database, listed here by mining equipment manufacturer and size class.